Call us for more info about our open floor plan options! 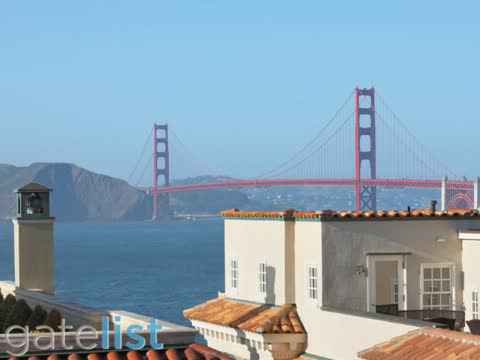 Find your next home in the Oakland and San Francisco Bay Area! Winkler Real Estate Group was founded to provide high quality, relationship oriented real estate sales and marketing services to developers, buyers, and sellers of real property throughout the San Francisco Bay Area including Oakland, San Francisco, and Marin County. Winkler Real Estate Group is defined by two guiding principles: Care for each of our customers, and integrity and ethics in our business practices. Whether you are looking for a charming Victorian Home or a beautiful Mediterranean home with an open floor plan, Winkler Real Estate Group have the experience and expertise to help you achieve your real estate goals. If you are searching for a beautiful Mediterranean home in or around the Oakland, CA area, then you've come to the right place. Winkler Real Estate Group is the #1 local real estate agency in the area! We offer plenty of property listings that feature gorgeous old world Mediterranean homes. These lavish houses offer elegance, a spacious layout and a classy comfort that you won't find anywhere else. To top it off, these Mediterranean style houses are located in one of the most beautiful areas of California! We provide our clients with exceptional insight, based upon years as a top producing real estate brokerage in the San Francisco Bay Area. Call Winkler Real Estate Group to begin talking about your real estate ambitions today: 510-926-4055! The East Bay Area is certainly a desirable place to live, and offers the perfect mix of entertainment, local culture and family oriented communities. If you are searching for a spacious home with gorgeous architecture to settle down in, our real estate listings are a perfect match! For those that love intricate architecture and unique features on and in a home, there are plenty of gorgeous Victorian homes with prime locations. For those that love spacious designs and more modernized elegance, our Mediterranean listings are sure to catch your fancy! We have a large selection of charming Victorian homes and Mediterranean Homes located in great neighborhoods with beautiful views. They all have modern, open floor plans that allow you the freedom to move around, store items, and decorate however you'd like. They also make the perfect homes for larger families, or couples that are expecting to have children. Winkler Real Estate Group remains client focused throughout the Real Estate Process. We take exceptional pride in helping our clients fulfill their real estate goals and ambitions. A beautiful Victorian Home can be yours! Whether you’re looking to buy or sell, call Winkler Real Estate Group today! We have experience finding all types of homes, from custom built to styled homes like Victorian homes and Mediterranean homes. In particular, we love helping customers who want to buy or sell a Victorian home. Oakland is lucky to have many genuine Victorians. Whether your style is Italianate, Queen Anne, or stick, we’re sure to help you find the perfect home with plenty of period charm. It also goes without saying that we can market your Victorian home to the right buyers, doing everything in our power to help you get the best possible price for it. Winkler Real Estate Group maintains a long-standing relationship within the local real estate community. We have a unique understanding about the challenges Sellers and Buyers face trying to market and sell their homes, as well as purchase new homes. We will provide you with a team dedicated to providing you with the services you need to make your real estate goals happen. We sit with you to determine what you are looking for and find properties that fit in your price range and lifestyle. Whether that’s a charming Victorian home, or a modern condo with an Open Floor Plan, Winkler Real Estate Group will work hard to find the home you desire. Winkler Real Estate Group is committed to finding you the properties that meet your needs in the Oakland, CA area. We use the latest real estate technology to find the most up-to-date listings for our clients. We'll show you homes that appeal to your interests, no matter what style or location you want. Beautiful Oakland is a desirable place to live for many people moving to the Bay area. It serves as a trade center for the entire region. It is also one of the most environmentally friendly and racially diverse cities in the country, which means that the local homes come in a variety of styles to suit every taste. If you're looking for a classic Victorian home, or something with a more open floor plan, we can help you. Begin looking for your dream home 510-926-4055! We are more then happy to assist you with any questions or concerns you may have with the entire home buying process. Winkler Real Estate Group always approaches all aspects of our business with care and integrity. Whether you're searching for a Mediterranean home with an open floor plan or a stately Victorian home, we can help you find your dream space in Oakland and throughout the San Francisco Bay area. Because we work hard to develop honest, open relationships with our clients, we are able to help them find and sell everything from homes to condos and multi-unit buildings. If you're browsing real estate in Oakland, CA or the San Francisco Bay Area, we can use our expertise to help you find something that meets your needs and your budget.